Veraison, the changing of color of the grapes, has started in the Columbia Valley. The picture here is of Carménère at Weinbau Vineyard, a Sagemoor Vineyards property on the Wahluke Slope, from July 16th. 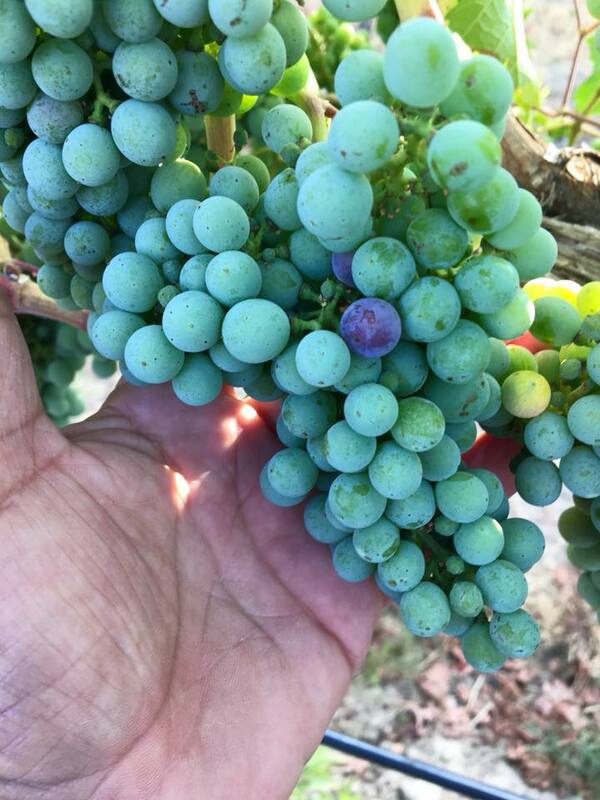 On the same date, Quilceda Creek noted veraison beginning in Cabernet Sauvignon at their Lake Wallula Vineyard in the Horse Heaven Hills. 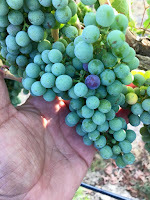 Ryan Driver, vineyard manager at Tertulia Cellars, also noted veraison starting in Tempranillo at Rivière Galets Vineyard in Walla Walla Valley. Picture courtesy of Sagemoor Vineyards. Veraison stated in the White Bluff Region as well over the weekend.